animal liberation is fiction because imagining a world without cages is as fantastical as anything you might read in science fiction & fantasy. b) outside of oppressive, humyn-centred, and species-exclusive conceptions anthropocentric ideals. so my intention here is to apply their emotional labour and wisdom to the issue of animal politics. and this means liberating ourselves to imagine and then re-imagine what the liberation of animals could look like. 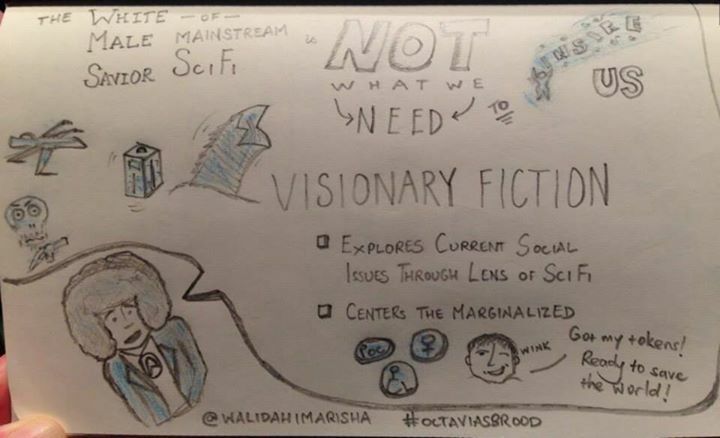 radical fiction is a tool, an art form, available to all of us wishing to explore social-political issues through a new lens of perspective. if you feel inspired to write radical fiction, or at least inclined to try reading some of it, then remember that the intention of this art is to communicate deep themes outside the narratives of the mainstream. and so not stories about collective change coming from the top of the political hierarchies, nor stories about token heroes & animal characters used as anthropomorphic instruments to validate the human ego. so, think about how stories can be told in ways that centre the animal experience, and validate their own existence for reasons outside that of validating humanity. whether you are writing and/or reading it for expanding your imagination personally or for the sake of anti-oppressive community organizing, remember that the core of the story always needs to be about hope.